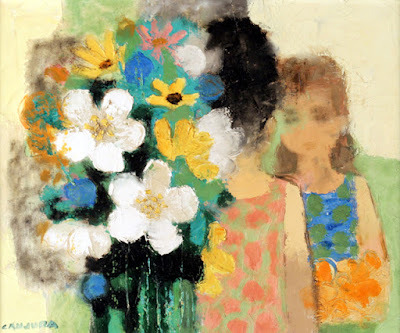 Occasionally, something happens in El Salvador so horrendous that it provokes widespread indignation and soul-searching for the constantly-tested yet surprisingly tender Salvadoran psyche. 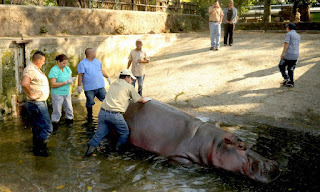 Such has been the case with the news that Gustavito, the 15 year-old hippopotamus of the San Salvador zoo, was attacked by unknown aggressors with icepicks, metal bars and stones in the wee hours of Thursday, February 23. He died from his injuries this past Sunday evening. Each month El Salvador receives more than 4000 of its citizens who have been deported. According to government statistics, during 2016, El Salvador received 52,548 deported Salvadorans, of whom 21,340 were deported by the US and 31,147 from Mexico. These numbers represented an increase of 1.5% from the prior year. The greatest numbers of deportees were originally from the departments of San Salvador, Usulután and San Miguel. Salvadoran officials estimate that 300 Salvadorans per day try to emigrate in undocumented fashion towards the US. El Salvador's Legislative Assembly recently approved a monthly budget of $5.2 million to try and attend to the needs of deportees in the face of predictions of a large increase in their numbers under the Trump administration. Although El Salvador currently has a moratorium on gold mining imposed by the executive branch, and the country won an international arbitration with gold mining company Oceana Gold, activists have not stopped the fight to keep gold mining companies out of the country. Oceana Gold has not yet paid the $8 million judgment against it for the costs incurred by the government of El Salvador in the arbitration. 280 national and international environmental and solidarity organizations recently released a letter demanding that Oceana Gold pay up and move out. Meanwhile, the National Assembly has still failed to pass a law to prohibit metallic mining in the country. Passage of such a law is one of the major goals of the environmental movement in El Salvador. The Roman Catholic church has added its voice to those calling for the mining ban. Time magazine has a long article up on its website titled How Trump's Deportation Crackdown Could Sink El Salvador. The article suggests that tens of thousands of deportees arriving in a country with high unemployment and high crime rates could magnify those problems, while at the same time crucial family remittances would be in decline. Propelled by conversions to evangelical Christianity, some gang members are renouncing their former lives and quitting the gangs. It is a phenomenon which is most pronounced in the San Francisco Gotera prison in northeast El Salvador. This past weekend a colonia in municipality of Apopa named for Noe Canjura celebrated a cultural festival and block party. The event featured music, art, food and conviviality. But who was Apopa's most famous son, Noe Canjura? The New York Times has a photo essay titled Unearthing Justice in El Salvador and accompanying blog post on its website regarding the open historical wounds of 1981 El Mozote massacre. The photos tell the stories of families having a chance to finally put to rest their murdered loved ones and still seeking justice. There is an ongoing search for justice, but we cannot tell whether and how that search might be completed. The Los Angeles Times today has a story about a Salvadoran teenager threatened with death by gangs in El Salvador. This young man was granted refugee status under the Central American Minors programs commenced by president Obama and was ready to come to the US and safety on February 9. Then President Trump intervened with his executive order suspending refugee admissions to the US. This young man would have been stuck in El Salvador where gangs promised to cut him into pieces, but was saved by a federal court injunction blocking Trump's executive order. He boarded a plane for the US before Trump could try to cut off refugees once again. Trump's orders have life and death consequences. Luckily a federal court was there to strike this one down and probably save more than just one life. According to statistics from El Salvador's National Civilian Police, the number of murders in the the first month of 2017 dropped to 256, compared with 484 violent deaths in a very bloody January 2016. That represented an average daily murder rate of 8.3, and the country enjoyed its first day without any murders in quite some time. The country is currently debating two questions. First, will there be an extension of the "exceptional measures" put in place at the end of March 2016? Those measures include increasingly harsh conditions in the prisons aimed at isolating imprisoned gang leaders as well as more and more aggressive police and military tactics in the communities. The government credits these measures with bringing down the homicide rate. The legislative assembly is debating whether to approve an extension to those exceptional measures, which would appear likely.